We know how precious your child is—to you, to God, and to our church! And we want them, and you, to know it! Our program year runs from second Sunday in September through early June. During the program year, worship services are held at 9:00 a.m. and 10:30 a.m. each Sunday morning. While welcome at either service, only the 10:30 a.m. service has Sunday School and attended nursery services. 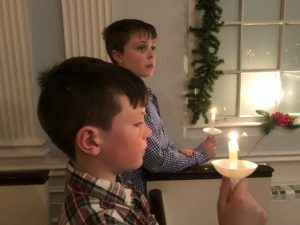 At the 10:30 a.m. service, the children usually worship with their parents in the Meeting House for the first 10-15 minutes. They then come forward for a moment where Rev. Tanya introduces the theme of our service and/or their lessons. The congregation then blesses them, and they depart for continued worship and learning by age/grade. 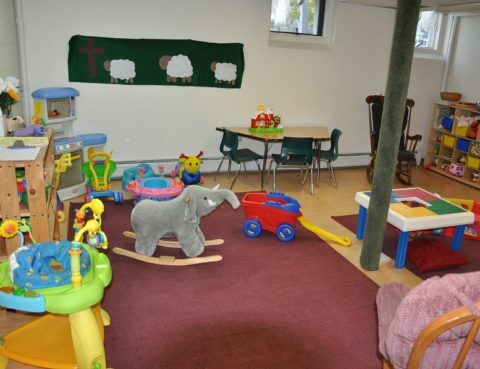 A fully-furnished and staffed nursery welcomes babies and toddlers during the 10:30 worship service throughout the program year, September – early June. When you bring your infant or toddler to the nursery (located downstairs in the Flagg Room), you will be asked for your name and cell phone number. This allows parents peace of mind knowing the nursery staff will send a text should their child need them during the service. 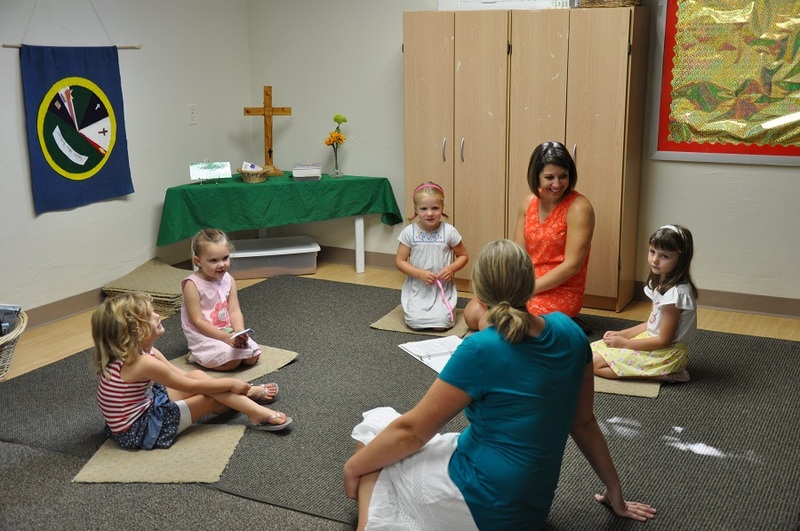 Sunday school classes for children age 3 through grade 6 are held during the 10:30 worship service, September-early June. Trained and enthusiastic volunteer leaders provide a caring, accepting atmosphere where children learn about the Bible and the principles of Christian faith as they apply to living faithfully in today’s challenging world. While learning the important bible stories, emphasis is on fun and caring for others. There are opportunities throughout the year to participate in children/youth led church services and skits, music and dance, crafts, serving the congregation, and service projects to benefit others. The Worship Center curriculum, a derivative of the Montessori method, invites children to wonder, probe and discover God at their own pace. Trained volunteer teachers present the Bible story with three-dimensional wooden figures. Children use the same figures to retell the stories in their own way. 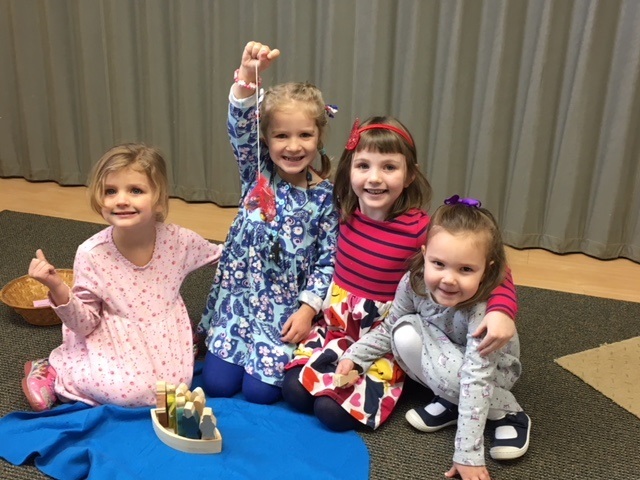 Music, dance, arts and crafts reinforce the Bible story and allow young children to experience the rhythm and joy of worship in their own worship center while acquiring tools that will help them find meaning in their lives as they grow. 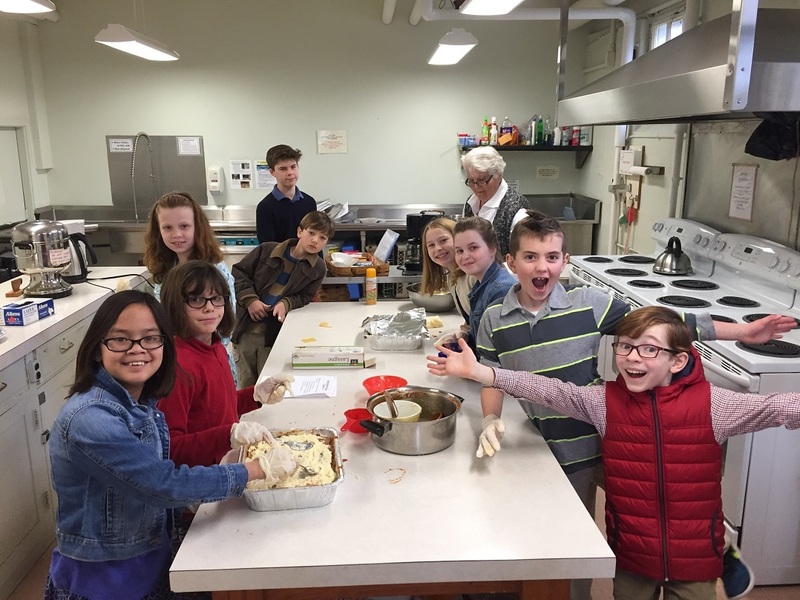 Upper elementary school children explore their Christian faith in Bible-based discussions and hands-on activities. 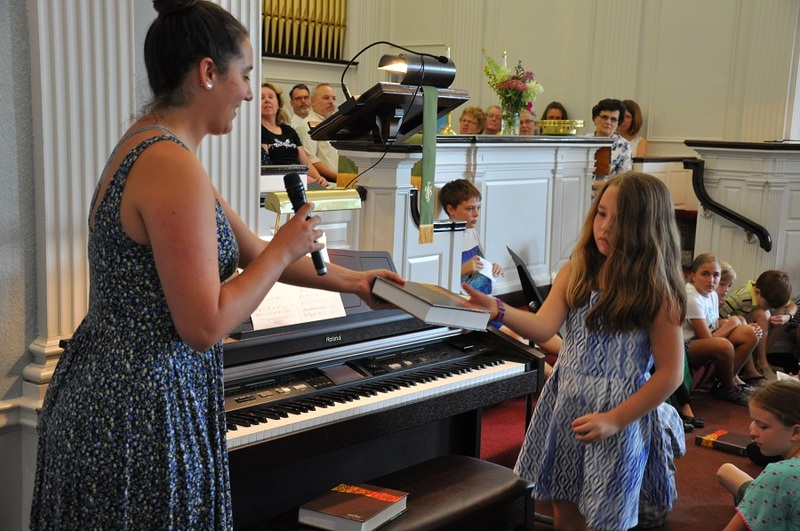 In third grade, children are presented bibles which are used throughout their Sunday School years. The Chronicle curriculum presents Bible lessons in dynamic and relevant ways. Children learn the Gospel by doing the Gospel, reaching out to help to help neighbors in need. Many opportunities to participate in service projects are included in their curriculum. Packing food Thanksgiving, Christmas, and Easter food boxes donated to local families in need. 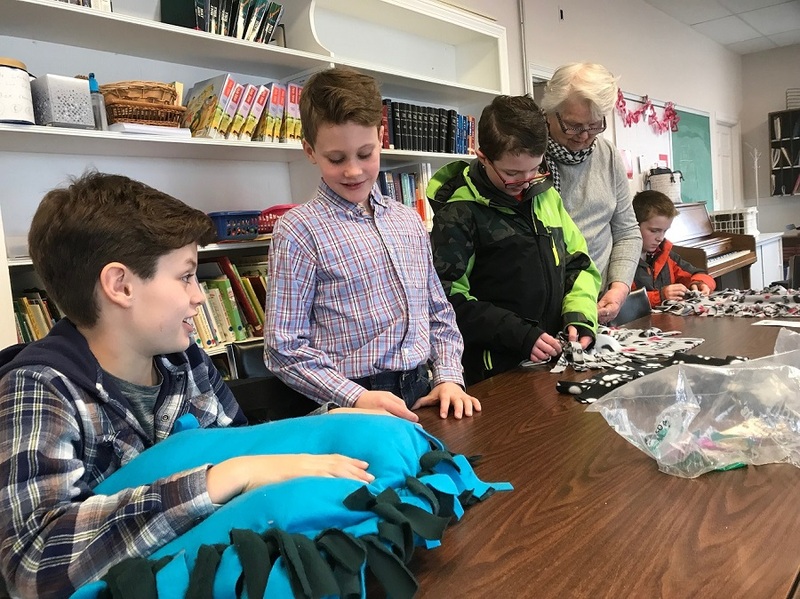 Donating children annual offerings to charities such as Heifer International, the local Animal Rescue League, and the New Hampshire Cancer Action Center. Filling out holiday cards for deployed soldiers and sailors. 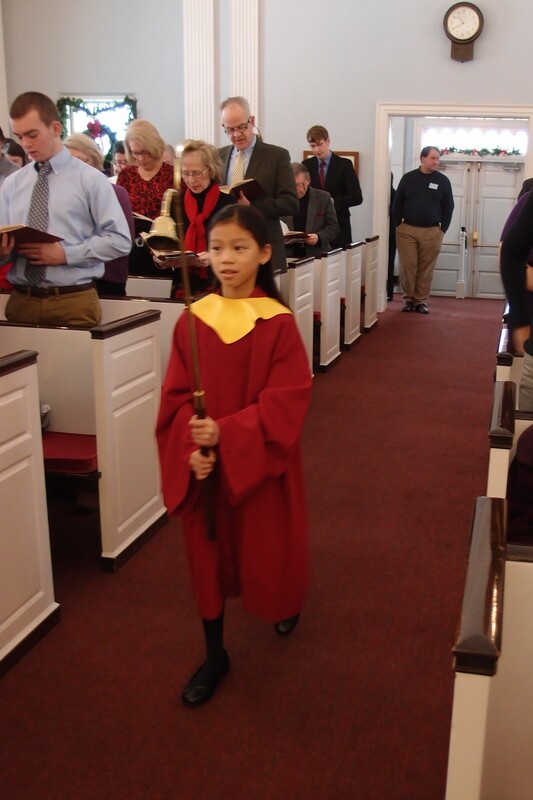 Children in 3rd through 6th grades have the opportunity to serve as acolytes during the 10:30 a.m. service. This role is strictly voluntary. An acolyte is “someone who assists a member of the clergy in a [religious] service by performing minor duties.” (Merriam-Webster dictionary). At the Congregational Church of Hollis, at the beginning of the service one acolyte provides assistance by lighting the alter candles while a second acolyte assists by carrying in the Bible to be placed on the communion table. The two acolytes assist again at the end of the service by extinguishing the alter candles and removing the bible from the communion table. Acolytes are provided training as well as robes (smaller versions of our choir robes) to wear over their regular clothing, allowing them to truly feel the specialness of participating in the service.